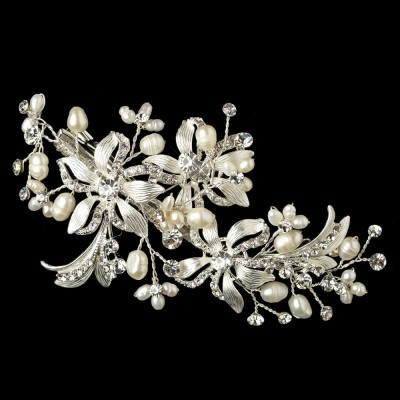 The Aerin bridal headpiece is a chic and elegant addition to your vintage-inspired wedding day ensemble. 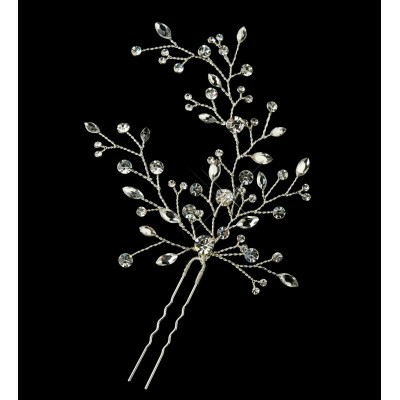 A larger-sized hair accessory that features an intricate assortment of leaves, flowers and crystal sprigs and hundreds of tiny glittering Austrian crystals throughou.. 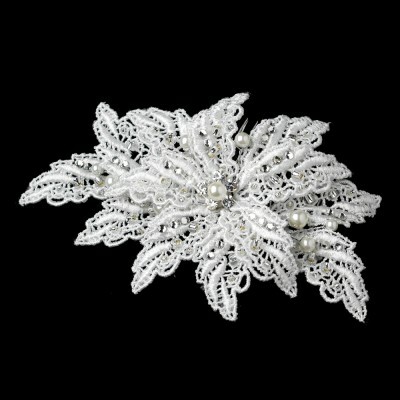 The Ava bridal headpiece is a sophisticated and stunning bridal hair accessory made with lace, sparkling crystals and pearls This vintage-inspired hair accessory will work beautifully with you lace or vintage-themed wedding dress. Ultra-lightweight and easy to use, the Av.. 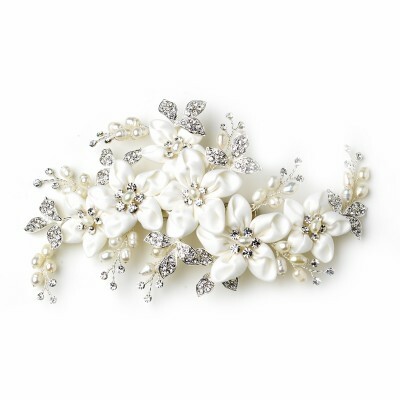 The Elysia headpiece is the perfect finishing touch for vintage brides Featuring silver-plated metal leaves interspersed with dozens of glittering Swarovski Crystals The Elysia bridal hair accessory is very easy to use - it is lightweight and features a strong clip so it can be.. 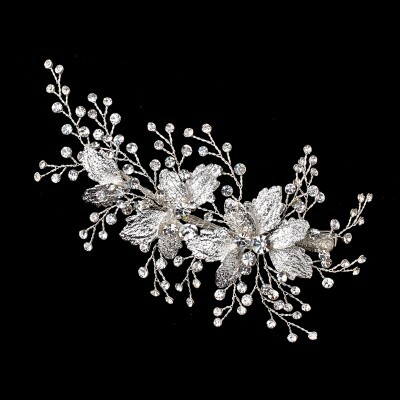 The Joelle bridal headpiece is a chic and elegant addition to your vintage-inspired or classic bridal look. 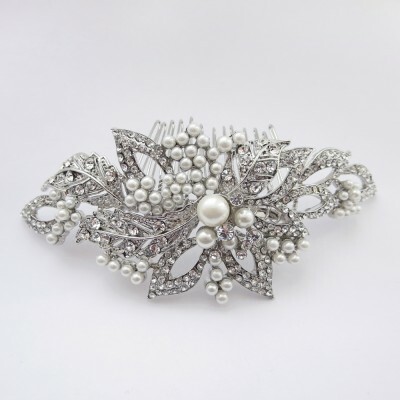 A medium-sized hair accessory that features an intricate assortment of brushed silver leaves, flowers, genuine freshwater pearls, and hundreds of tiny g.. 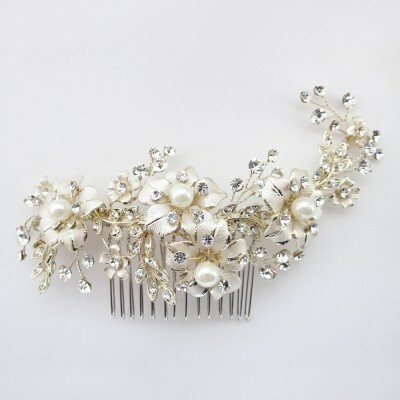 Bridal headpieces bring your wedding dress to life. 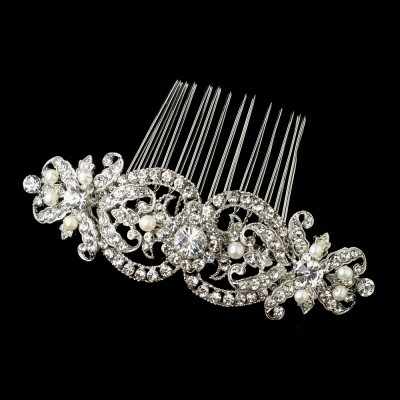 Shop our collection of beautiful bridal headpieces, bridal hair accessories, hairpins and bridal combs. Whether you are looking for a subtle finishing touch for yourself or a beautiful gift for your bridesmaids, we have you covered. 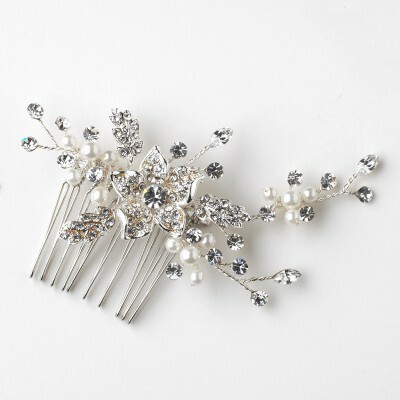 Our bridal headpieces collection is designed to match with many of our bridal earrings, wedding earrings, bridal bracelets, and bridesmaid jewelry in mind. Simply mix and match the styles to find a combination that's just perfect for you. 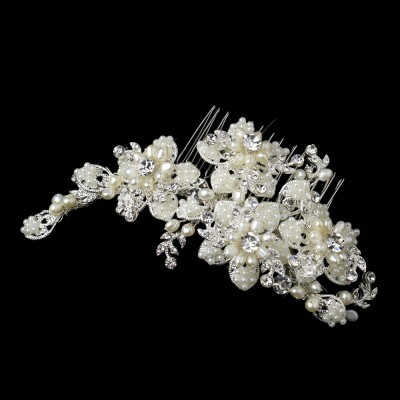 Take a browse through our stunning bridal headpieces collection now, and contact us if you need any help or styling assistance.